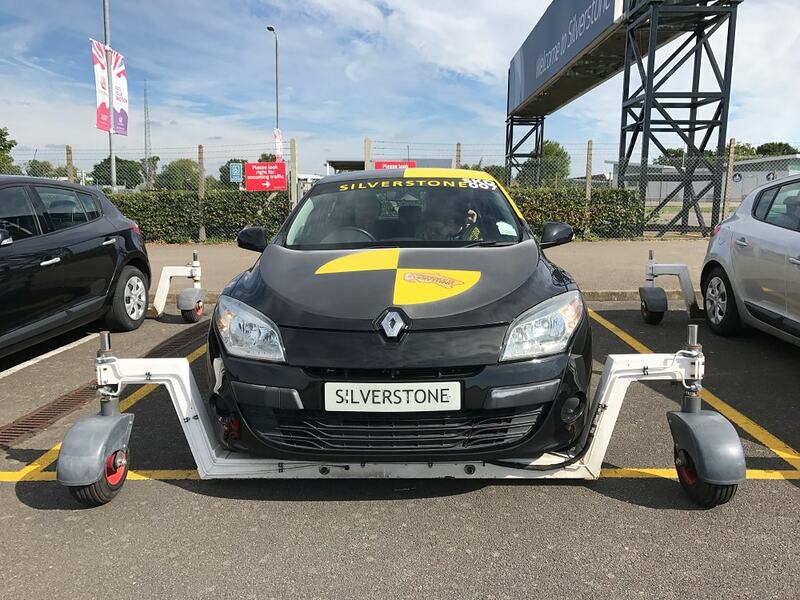 Muddy Stilettos HQ takes the Silverstone driving test! 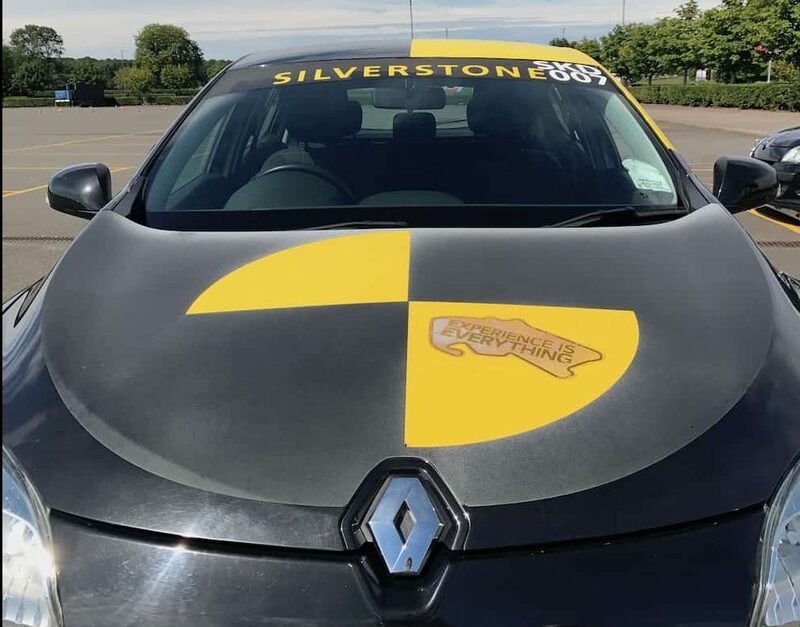 Take the Silverstone driving test! Super duper founder of Muddy Stilettos, Hero Brown shows us her skills on her visit back to Silverstone! I did go to Silverstone a few weeks ago, but it was all highly sensible and not a floating breast in sight. 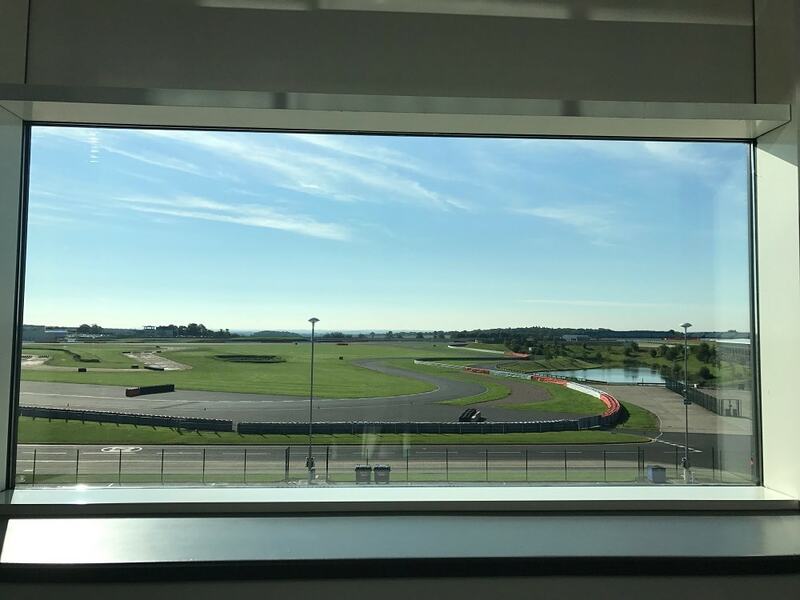 I have in the past done a high octane driver event here, screeching around in an Aston Martin and a Ferrari, I tried a New Driver Experience this time round – ideal for your newly qualified teen, but also for those who want to brush up their skills, or even regain confidence after a prang or bad experience. I was involved in a little crash recently – not my fault as it happened and thankfully it was only at 20mph, but it still literally totalled my car, and freaked out my kids who were in the back at the time – so this course definitely came along at the right time. 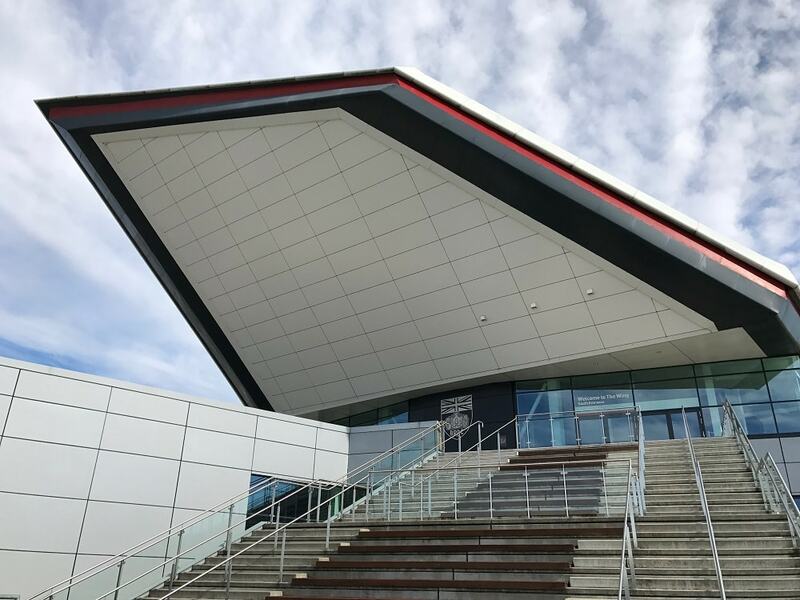 But let’s not be too hairshirt about it – the £27m magnificence of The Silverstone Wing is where I headed for my day’s training. Not too shabby! Basically it’s a four hour mix of theory briefing and oodles of practical driving to learn how to avoid skidding, brake safely, understeer and oversteer techniques and also emergency avoidance techniques at real speed, and it was really helpful. Loved skidding around the track and crashing into the cones while my driver did weird things to the pimped up car (below) to make me over and understeer. Here I am doing some magnificent spinning! Then I had to put my foot down to the metal towards two cones that were supposed to be a wall, and then swerve at the very last minute. Quite scary to do that, because somehow your brain does tell you that you really are about to hit a wall, so sorry to my instructor who heard me scream like a B-horror movie actress every time I approached. Anyway, I came away from the day feeling much more confident on the road again, and I’m definitely-totally-100% sending my son on it as soon as he’s old enough to attach his L plates and fluffy dice, not least because one in five newly qualified young drivers will have an accident within six months of passing their test. Also worth mentioning, for those of you who don’t need any help behind the wheel, that it’s the season of pressies-to-other-halves approaching so if your beloved is a petrol head, book him in for a single seater thrill, a rally or hot ride (this is a real name, honest! ), a head to head or even stunt driving. 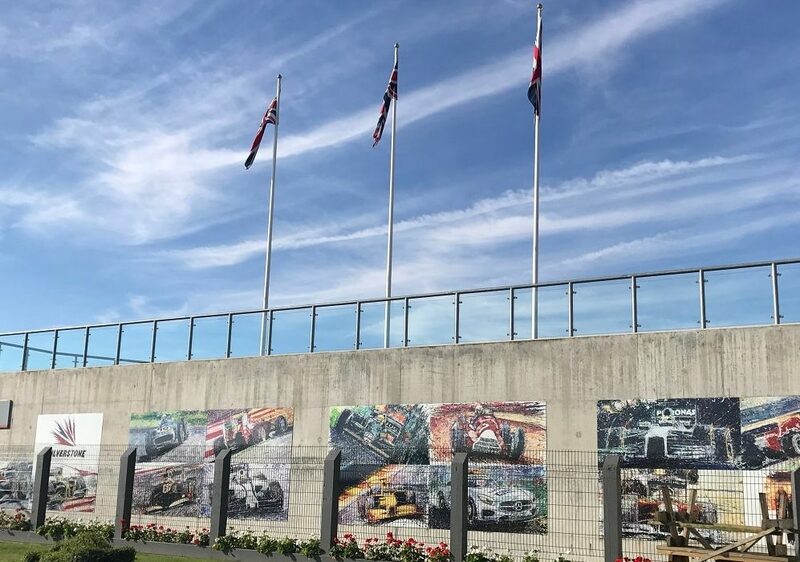 Silverstone, Towcester, Northants, NN12 8TN.